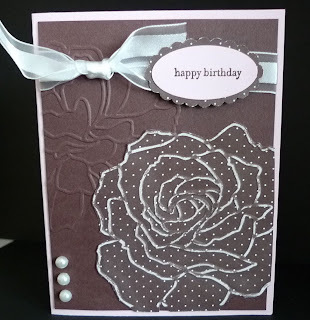 Karina's Kreations: Manhattan Flower Embossing Folder Card! 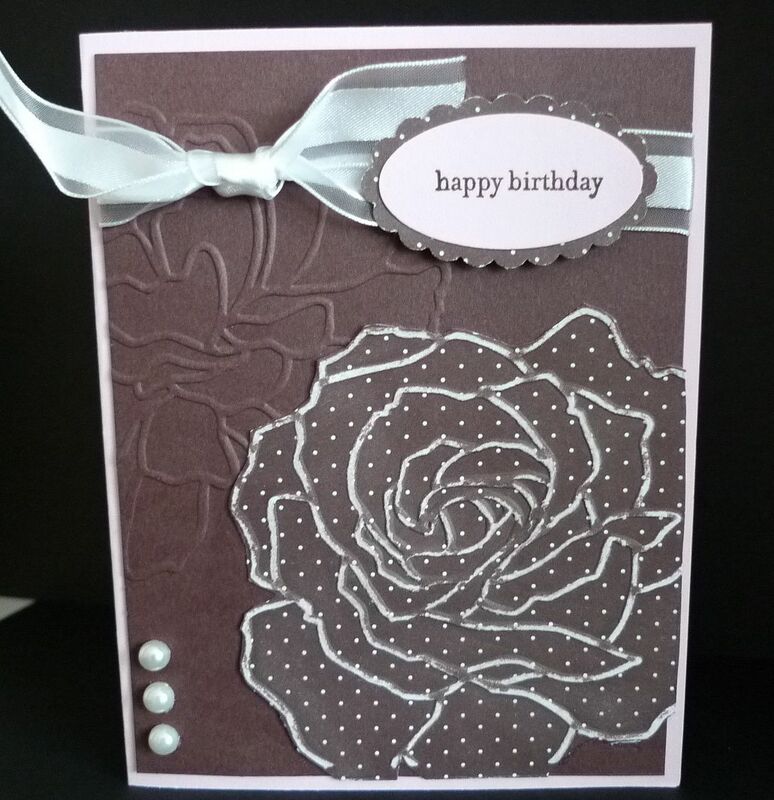 Manhattan Flower Embossing Folder Card! I started this card a long time ago and finally finished it. The designer Paper is retired but I wanted to show you the Manhattan Flower Textured Impressions Embossing Folder and the cute card you could make if you had the Big Shot die cut machine!!! 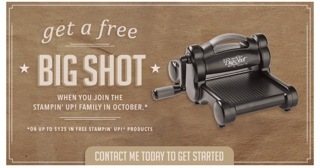 The Big Shot is Free this month when you buy the starter kit! The large flower is embossed with the embossing folder and the edges are sanded away with the Designer Sanding Blocks #124304 $4.50. This works best with Designer Series Paper. I would use the Neutrals Collection Patterns Designer Series Paper Stack #117157 $24.95 (40 sheets) which you can get in your starter kit. The colors are Pink Pirouette & Chocolate Chip. The greeting is from Teeny Tiny Wishes.